A person has died after being struck by a train at Coventry Railway Station this morning. The emergency services were called to the station shortly before 8am with all train services at the station suspended. Police were able to confirm that the incident is not being treated as suspicious. At least 200 passengers were left stranded in station square with the station itself emptied by emergency personnel. 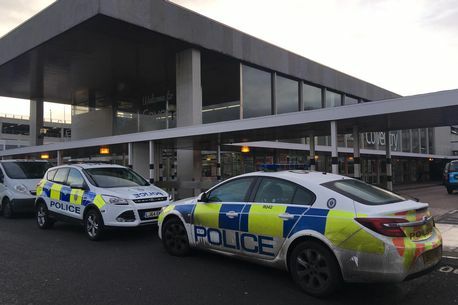 A spokesperson for the British Transport Police said: "Officers were called to Coventry station at 7.56am this morning after reports of a person being struck by a train. "Colleagues from the ambulance service also attended, however, a person was sadly pronounced dead at the scene. "Officers are working to identify the person and inform their family. A spokesperson for the West Midlands Ambulance Service said: "West Midlands Ambulance Service can confirm that it was called to reports of a collision between a train and a pedestrian at Coventry Railway Station at 7.58am this morning. "One ambulance, a paramedic officer and the Warwickshire and Northamptonshire Air Ambulance Critical Care Car attended the scene. "Sadly, it quickly became apparent on arrival that nothing could be done to save the pedestrian, a man, and he was confirmed dead at the scene."